Who is to Blame for Spain Economic Collapse? 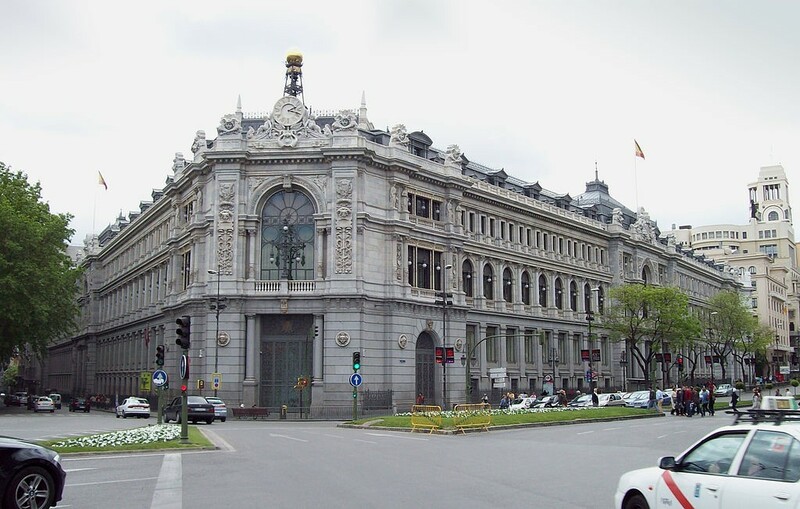 The outgoing president of the European Commission fired a direct salvo at the Bank of Spain in a speech a few days ago, blaming Spain’s central bank for the economic crisis and the collapse of the property market. José Manuel Durão Barroso charged the bank with “major errors in supervision” during a seminar at Menéndez Pelayo University in Santander. Barroso used the speech to deflect blame from the EU, mocking the information that was flowing from Spain before the crisis. Whenever the Commission asked about Spain’s market, they were told “the Bank of Spain was the best central bank in the world,” he said, according to translations in the English press. “Each time we asked how the banks were in Spain, how were the savings banks in face of the rumours in the market, the response was: ‘Everything is perfect’,” Barroso told the forum. Barroso’s accusation is hardly shocking. And scholars can spend many hours debating the pros and cons of the EU’s handling the run-up to the crisis. Bbut the straight-forward nature of Barroso’s attack on Spain’s top financial institution is still worthy of note. It is rare to hear a top-level politician use such direct language to criticize a powerful entity, even if he was simply trying to defend the EU’s performance. Of course, the EU might have a right to complain, since it poured €41 billion into Spain’s banking system in 2012 to prop up the market. In the long run, the crisis will result in a stronger EU, he said. It wasn’t just the Bank of Spain that was to blame for the economic collapse, it includes the corrupt Spanish Government, the Juntas, the Town Halls and their mayors and staff, the many corrupt estate agents and developers in the boom, many in-house lawyers, a totally unregulated property market (still is despite subscription bodies such as API), high commissions leading to greed mis-selling whatever the cost to clients, newspaper frenzied advertising and road shows, sales based on flipping properties, 5 year + legal redress, illegal builds, overbuild of golf-courses and developments, coastal mayhem overbuild ad infinitum, poor build quality in many developments,not forgetting Black Money etc etc etc!!!! What has changed in Spain apart from the collapse? Nada, it still goes on unregulated, lies, hype, lack of prosecutions, and all the rest. Will Barroso’s statement change things? No is the answer, Rajoy and his cronies are all in it together. Spain was and remains essentially a feudal society who was allowed into the EU too soon. Rampant self interested management at all levels of government and corporate business, a childish inability to be serious about their own errors and behaviours and a pathological need to blame others makes for little incentive to change. An Italian friend once said “in Italy we have a tha church, tha Government and tha Mafia, in Spain the government IS the Mafia.”. I love Spain for many reasons but I lost a great deal there which I wont get back in this lifetime. The standard joke was how do you make a small fortune in Spain? Take a large one with you! Nothing works and like children used to being told what to do they just hold out their hands for more. There has been great change since 75 but how long do we have to wait for them to grow up? Actually how long do we have to wait for all politicians to grow up? Forever? oh well in that case I’ll head back to Spain. I still love it even though I can’t afford it! Insane. Very well said; anybody reading spanish papers can say so. But the last sentence , too restricyive. Phil, thanks for summarising precisely all the many factors behind the “boom” – above all the greed and corruption that lead to massive over-supply of new properties. You obviously have some close personal experience of what happened in Spain in the first 10+ years of the 21st century. The only thing I’d add is that representatives of all political parties – at a local, regional and national level – share the guilt, not just the PP/Rajoy. Where the Socialists were/are in control they were as bad as the PP. Like Steve, we have lost nearly all our life savings since moving to Spain. We have been lied to and conned so many times by the banks, the Ayuntamiento and authorities (and don’t get me on the subject of the estate agents) that I no longer trust anyone. Illegal buildings are still going up near us and we can only think someone, somewhere has received a back-hander. Our home is worth half of what we paid for it and we struggle to make ends meet being pensioners taxed within an inch of our lives and paying extortionate energy and services bills. It’s a beautiful country and I like the people but the corruption, at all levels (and that includes the police) was something that we were never prepared for. Now we don’t have enough money to go back to the UK even if we wanted to. I rue the day we decided to come here. I am very sorry to hear of your problems Helen, and Steve, I wish you both well and hope things work out for you both and the many 10’s of 1000’s in the same boat including friends of ours who like Helen, cannot afford to move back to the UK now at the wrong time of life too. I think you are brave to say it as it is, many won’t for embarrassment, but by airing this hopefully will make those in control act one day and warn others still being misled. Peter, you are right too, my list could have gone on and on, even to include some who think they are whiter than white. We were caught by Ocean Estates Marbella, mis-selling years ago, this company ran by the ‘A’ team Alasdair and Alice Macdonald and other names I could mention, were selling on a huge scale off-plan properties with lies and false hope. They went into liquidation, some of their Directors still operate in Spain in other Companies, some fled to Thailand owing unpaid taxes to Spain. Google search recent Daily Mail article on Chinese buyers snapping up British off-plan homes from London to Liverpool, and who is in charge of this, yes, the B—-y ‘A’ Team again, selling to Chinese properties they’ve not even seen, on a large scale. This then ramps up the prices in the UK for 1st time buyers, takes those properties off the market, forcing prices up even further. The Chinese are like the Brits were in Spain, trusting these b-lls——g agents again. The commissions made by Ocean in the Spanish boom was as much as 30% per property, immediately they were bought the buyers were already in negative equity plus of course the exorbitant completion charges. The UK properties they are selling will also include the ‘A’ team’s huge commissions, only the Chinese won’t be aware of this, another bust coming no doubt. The UK Government should step in, and I’m making inroads there, the same as I did in taking on the Macdonalds and winning years ago which eventually forced them out of business. Obviously there are many in Spain who don’t like the truth coming out, but the whole corrupt system, non-regulation, including agents who post on here (I know who they are), needs hot steam cleaning including the Court procedures. I will post the truths as and when, there are some honest people but it’s hard to trust anyone or find the good guys, most want their large commissions at any cost! We are going through a property buy at the moment. Just a small flat in Central Malaga. Ideal, for family for a few weeks or a some weekends with friends. First, buying a small flat in central Malaga is not a bad idea, an interesting City where your purchase should be secure for legality of build as well as investment, better than buying on the coast. You seem wised up to the seller, so my advice stick to your principles and don’t give him ‘B’ money. Don’t use the agent’s nor seller’s recommended lawyer either. I’m in a good position where I have a very good friend in Sevilla, been friends for many years now. He is overseeing the purchase I don’t think I could have possibley got very far without his help. Even though I had problems with Ocean Estates and their ‘A’ Team the Macdonalds years ago, I managed to get out unscathed. Just shocked the Spanish Government hasn’t gone after them for mis-selling and non payment of taxes estimated at over 8 million euros, and shocked that they’re at it again selling UK off-plans to Chinese buyers. However Andy, I gave serious thought of buying a pad in Malaga, I really like the City compared to Marbella, more Spanish, little bling, good shopping and historic buildings, a nice feel about it. I like the idea of getting flights easily at last minute and not expensive, flying down, taxi from the airport, and indoors in shortish timescale, tapas for the weekend or longer, sunshine boost, fly back, best of both worlds. Be good to hear of your progress! in the bar for cerveza and tapas by lunch time…..
Andy, your idea of buying a flat in Malaga sounds attractive and logical and it’s what us Brits like to do – it is a nice city, all as Phil described. However, just based on our experience………. The problem must be with the individual government bodies, I purchased a property in-land from Guadamar on the Costa Blanca. After waiting over a year for the builder to complete the work we complete the purchase. The builder ceased trading and left the complex with thousands of pounds of work to be done. Although the apartment purchased was completed the builder did not have the utility meters fitted even though we had paid him €900 cash for this to be done. now 8 years on and after paying many of the debts the builder left, the purchasers have been granted a temporary utility supply ie: €70 plus the usage. We still have to pay €80 a month community fees which was to cover the water & Electricity used, OK for the nationals in residence that did not pay the community fee while renting the apartments from the builder, the builder just pocked the rents and failed to pay any community fees on the apartments he still owned. The Cam Bank had taken many of the apartment as payment of the buiders debt. The builder is still building under a new name. the properties are worth half of what we paid for them and still we pay the €80 a month. We are waiting for the Habitation Certificate to be granted,this is granted by the local council. we will no doubt be to old to enjoy the retirement home we purchased. We have had so much worry with the whole affair. Would I do the same thing again, NO. I would of been better off having wonderful holidays and keeping my life savings. As much as We love Spain, something is very wrong with the so called Spanish Law. Make sure you get everything in writing starting from the Agent , Lawyer, the Notary & Banks, they are all failing to do the work you pay them for. DO NOT Pay the Builder any CASH, he just pockets it and you may never see what you are paying for.